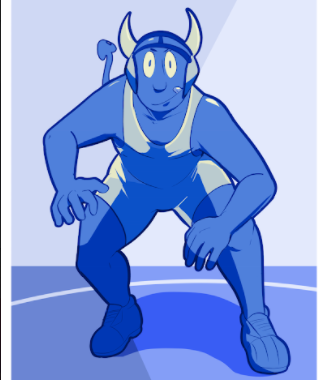 The University of Wisconsin–Stout extended its catalog of clubs this semester with the addition of a wrestling club. The club was started by manufacturing engineering student Matthew Buechel in December of last year. The wrestling club’s 24 members currently practice on Wednesday nights from 8-10 p.m. in the Johnson Fieldhouse wrestling room. “Our first few practices have had good numbers and we have been able to get some quality mat time in,” Beuchel said. Beuchel, who was involved in wrestling for 14 years before coming to Stout, decided to start the club after his first few weeks here. “I wanted a way to give students with an interest in wrestling a place to learn and compete after high school,” Beuchel said. Beuchel said that his experience starting the wrestling club was “interesting” because he didn’t have a lot of information on the process of starting a club. According to Stout’s website, you must petition to be recognized as a club during a period at the beginning of each semester. You must have at least four students interested in joining the club to form. There are various steps after the petition process to be recognized, such as creating a constitution and one-year plan for the club. Beuchel said that the club hopes to join the National Collegiate Wrestling Association (NCWA). Becoming a part of the NCWA would allow them to travel and compete against other collegiate club teams.